Do you have a father who has done things that you are not exactly proud of? Do you have a parent who has gained notoriety in your community? 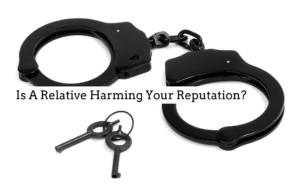 Are the actions or reputation of a relative beginning to negatively impact you? Well, according to a report in the Tampa Bay Times, Paul Manafort’s daughter decided to do something about it. Paul Manafort is the former campaign manager to President Trump who was convicted for tax and bank fraud and pleaded guilty to illegal lobbying on behalf of Ukrainian interest. Because of this and the spectacle it has caused, his daughter decided to legally change her last name. And, you know what? In most cases, you, too, can change your legal name. Section 68.07 of the Florida Statutes lays out the requirements of a name change. That your civil rights have never been suspended or, if they have, that your rights have been fully restored. By the way, just because you have gone through bankruptcy, lost a lawsuit, or have been arrested does not necessarily prevent you from obtaining a name change. You will also need to have your fingerprints electronically scanned for a background check. The check is conducted by the Florida Department of Law Enforcement and FBI to confirm that the information in your petition is correct. Once you have filed your petition and completed the background check, in most counties you will need to go in front of a judge to complete the process. The judge swears you in, and you provide testimony and any evidence that is requested to prove up your petition. Because the paperwork involved in the name change process can be onerous, and because most people do not have a lot of experience dealing with the court system, you should consider having a name change lawyer by your side throughout the process. https://familydiplomacy.com/wp-content/uploads/2016/12/Family-Diplomacy-Logo.jpg 0 0 Adam https://familydiplomacy.com/wp-content/uploads/2016/12/Family-Diplomacy-Logo.jpg Adam2019-03-08 12:21:232019-03-08 12:23:49Manafort's Daughter Changed Her Name, And So Can You! Many of us remember Pee-Wee Herman from the Groundlings and children’s programming and movies in the 1980’s. More recently, you may have seen Paul Reubens, the man who plays Pee-Wee, appear on various TV shows, including the Blacklist, Portlandia, and Reno 911. But, what you may not know is before Paul Reubens was Pee-Wee Herman, he was Paul Rubenfeld.